So in my last post we covered Japan and this time we’re going to look at Korea. A large part of Korea’s popularity when it comes to teaching English is because of how much money you can save while living there. It’s not that it isn’t amazing place, it is, but when people start rattling off countries they want to visit, it tends to fall below places like Japan, China and Thailand. When you put together the salary and the benefits however, Korea suddenly gets bumped up the list. A generic, “you can save a good amount of money in Korea”, is true, but it’s never as nice as a providing a proper example and talking about how everything breaks down, so that’s what we’ll be doing and we’ll end up learning about some of the subtleties of Korean contracts as we go. Again the goal is to cover everything, but just like last time there’s quite a bit of budget information on the simpler stuff so we’ll breeze through it and spend more time on the area’s that everyone else won’t touch, like tax and social security and we’ll make another example budget for our imaginary teacher, Jeff. We’ll start off with a check-list of where your money goes, which will double as contents. Although salary will vary depending on your position, experience etc. You’re usually looking between 2 million to 2.5 million. If you’re applying through the EPIK system, then they have a set pay grade so you’ll know exactly what you’ll make. Ready for Korea’s first big benefit? Practically all housing in Korea is paid for. When most people arrive they usually take the provided housing. Many positions will also offer a rent allowance as an option which teachers can take if they want to look for housing themselves. One off costs and benefits don’t really have a place in a monthly budget and in Japan we didn’t cover them at all. But because both airfare and an end of contract bonus are standard and make a substantial difference to a teachers finances we’ll include in this list and then just leave them out of the monthly budget. Airfare is nearly always paid for in Korea, better still if you’re on Korea’s public school scheme (EPIK) then any money you save on airfare you can keep. An end of contract bonus equal to one months salary is also standard in Korea. Anywhere between 100,000 to 200,000 won is reasonable, we’ll put ourselves at the higher end with 170,000. Always one of the most difficult items to put in a budget because it really is very personal. Anywhere between 200,000 and 600,000 is a safe bet, depending on how much you eat, whether you get school lunches, if you go to western restaurants and how well you adapt to cooking Korea. We’ll pick 400,000 to hit in the middle. Onto the fiddly stuff. When we talk about social security, we’re talking about a pension plan and health insurance and if you’re comparing this post to the Japanese one then you’ll recognize the similarities. 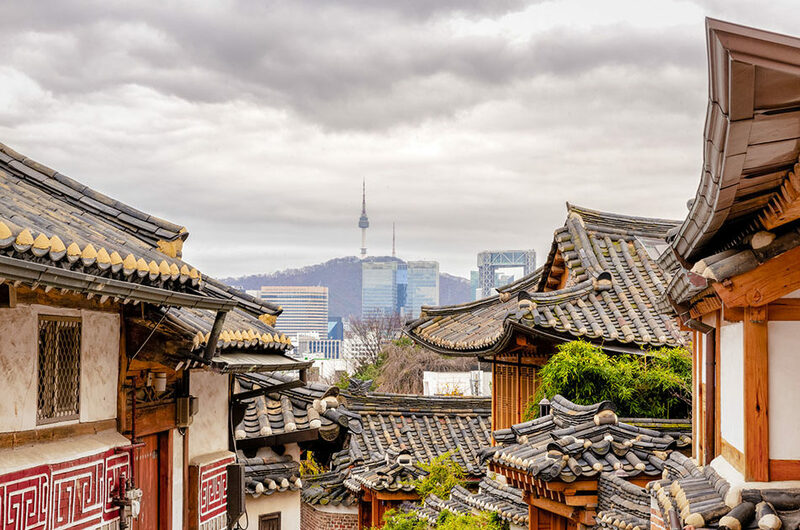 Both health insurance and a pension are usually mandatory for any expat working in Korea although each has one main exception. For pension it’s nationality, South Africans don’t have to sign up to the pension. For health insurance if you’re covered by health insurance from home then you can opt out (more information can be found here). But assuming you’re not excluded, you can get these one of two ways. But they also might classify you as an independent contractor (IC) in which case you’ll have to sign up for the health insurance and the pension scheme yourself. You can withdraw it as a lump sum when you leave and if your employer has been paying into it then it’s actually quite a reasonable amount. Of course if you’re not one of those nationalities then it does becomes a a frustrating extra cost you can’t do anything about. Back to our imaginary teacher budget, for our purpose we’ll assume that Jeff managed to get his employer to sign him up to the social insurance scheme. Actually 6% for IC’s is probably an over estimation. To work out the actual payments you have to calculate a contribution score and multiply this by the current years unit price. The unit price can be found here, but as far as I can find there’s no information in English on how to calculate a contribution. (I tried contacting the pension department but they haven’t replied. Onto everyone’s favourite section. That’s right it’s tax! Then for the first two years you’ll be exempt from paying tax. Magical. And depending on your home circumstances it means it might be possible to actually pay no tax for your first two years. But assuming Jeff does have to pay tax, how does it work? The calculation is different depending on whether you’re an IC or a proper employee. In the end both pay exactly the same amount of tax, but they different amounts per month and the difference is made up at the end of the year. If you’re an IC then you pay a flat 3.3% tax rate a month. Then at the end of the year, you have to file a tax return and the tax office will calculate how much you would’ve paid as an employee and you’ll have to pay the difference if it’s below or get rebated it it’s above. Note the most painful part of that, you have to file a tax return. If you get a good employer they should help you through it, but it’s never a guarantee. Another reason to try and avoid being an independent contractor. Onto the actual calculation. There is a flat tax option, but realistically you’re always going to pay less with the progressive tax and that’s what you pay with by default anyway. We’ll calculate income tax for the year and then divide it by 12 to get the number we pay each month. Before we calculate tax we need to take a number of deductions of our income. There are three other main deductions, the first two are very simple: a basic deduction of 1.5 million won and any pension payments you’ve made. For the third you get a choice. You can either submit a list of deductions (things like health insurance, education costs etc.) or you can take a deduction of 1 million won. Whichever is higher. To keep this example simple, we’ll say Jeff lives by himself and has had no tragic accidents so the 1,000,000 option is better for him. We take our final income tax number and multiply it by 1.1%. We’ll leave with some incredibly brief extra notes. Firstly if you’re interested in more information about how much people save, there’s an excellent thread over on Waygook asking people how much they save. I’ve linked midway through the thread to where the discussion in 2013 begins.